Applications are invited for a PhD student position in Computer Science at Örebro University, Sweden. The position is in the area of the integration of robots and smart environments, with specific emphasis on applications to elderly care. The position is in the context of the EU project Robot-Era, and it is for three years. Application deadline is October 15, 2011. The main task of the student will be to perform world-class research on the integration of robots within and across smart environments. This includes the integration of robots in smart apartments, in smart buildings, and in smart towns. This type of integration will face the student with a number of novel and challenging scientific issues. These issues will be studied within the specific application domain of assistance to elderly people, through the use of real test-bed environments. This domain will serve both as a source of inspiration and as a place for validation of the scientific achievements. The successful candidate will be employed as a PhD student with Örebro University for an expected duration of three years. He or she will work within the local Robot-Era team at Örebro University, but will also collaborate with the other European partners in the obot-Era, both remotely and through physical meetings and research visits. A limited amount of teaching may also be part of the PhD student`s duties. Robot-Era (“Implementation and integration of advanced ROBOTic systems and intelligent Environments in Real scenarios for the Ageing population”) is a European Uni0n FP7 project. The objective of Robot-Era is to develop complete advanced robotic services integrated in intelligent environments, which will actively work in real conditions and cooperate with real people to provide favourable independent living, improving the quality of life and the efficiency of care for elderly people. Robot-Era will demonstrate the general feasibility and effectiveness of these systems, as well as their social plausibility and acceptability by end-users. The role of the AASS in Robot-Era will be to develop an advanced, modular and customizable ambient intelligence infrastructure within which the above services can be provided. A unique feature of this infrastructure will be that it will span across several environments, ranging from homes to streets and public places, in order to provide ubiquitous assistance to senior citizens. AASS will also supervise the development of one of the project`s two testing sites: a smart apartment inside a large residential facility for senior citizens. The Robot-Era consortium consists of twelve European partners from Sweden, Germany, Italy and the United Kingdom, and it is coordinated by Scuola Superiore Sant`Anna in Pisa, Italy. Örebro University (official website) is a young university which currently enrolls more than 15,000 students. 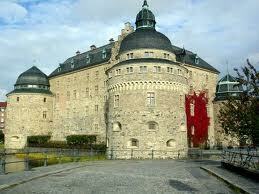 It is located in Örebro, a city of 130,000 inhabitants situated in central Sweden. The Center for Applied Autonomous Sensor Systems (AASS) is one of the Strong Research Environments at Örebro University. It carries out multi-disciplinary research at the intersection of robotics, computer science, machine learning and artificial intelligence. The research and human environment at AASS is young and enthusiastic. Researchers come from a dozen different countries, in Europe and worldwide, and have different scientific and cultural backgrounds. AASS also frequently hosts international researchers and is involved in several international projects. AASS is internationally renowned for its research in cognitive robotic systems and in ecologies of robots and smart environments. Further information about AASS and the Cognitive Robotic Systems lab can be found at official website and official website. In addition to a clear interest in one or more of the above research topics, the successful applicant must have a strong background in computer science, solid programming skills, and inclinations towards cross-disciplinary research. A Master`s in computer science, computer engineering or comparable field is required. We particularly seek candidates with experience in artificial intelligence, in robotic systems, and/or in sensor networks. Knowledge of the Swedish language is not required, but proficiency in written and spoken English and good communication skills are mandatory. To apply for the position, please send a motivation letter along with an updated CV (including at least two academic references) by email to Prof. Alessandro Saffiotti . Applications can be sent immediately and until October 15, 2011. We are looking forward to receiving your application! Demikianlah informasi One PhD Position in Robots and Smart Environments at Örebro University kami sampaikan, semoga bermanfaat.